1. Banner size: The best performing banner ad dimension is unstandard one (bigger=better), for standar banners the best is 728x90px or 300x250px – above the fold. 3. Text: Try to put at least one benefit of your product. Tell people why your product will make their life better. 4. Pictures: have to be a high quality. 5. Call to action: is very important. You have to test what would be the best call to action for product/service you advertise. 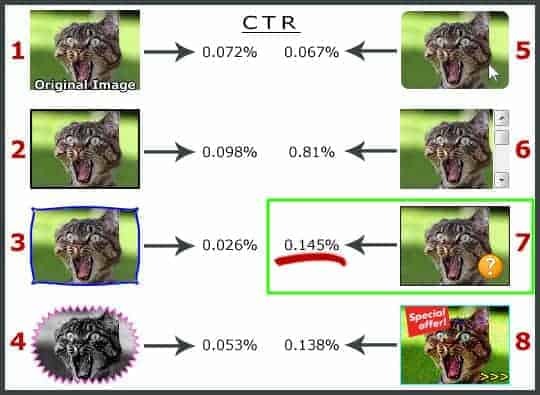 Even a little change of text can increase your CTR. Think about what would you click on? You have to write something that gives a visitor urges to do something now. Good call to action definitely improves the effectiveness of a banner. 6. Colors: The best colors to use: yellow, green or red; yellow and black, red and black. 8. Don’t make fancy flash banners. Those banners are for branding and definitely not for converting cliks. This banners are the reason for ad blindness. 9. 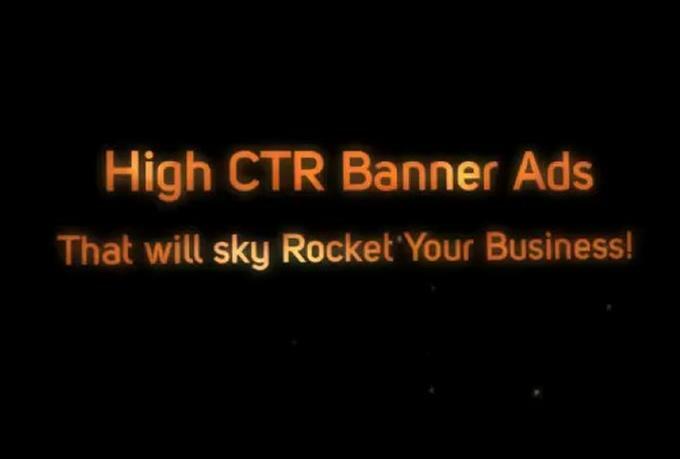 Don’t make shity looking banners because they look like scam – even if you have high CTR the conversions are bad so it’s not worth it. 11. Every website is different. What converts on one site doesn´t mean it´s going to perform well on other. 12. Spy on your competiton – what are they doing? 13. Making just a few small changes can increase your CTR as much as 200 to 300%. Remember that the banner with small CTR doesn’t mean it’s a bad one. High CTR doesn’t mean high conversions. The most important thing is to meauser conversions from each banner ad. The banner with small CTR can make you more money (more conversions) than banners with high – because a lot of people click on banners just because of their curiosity.